My original balloon power piston looked like this. 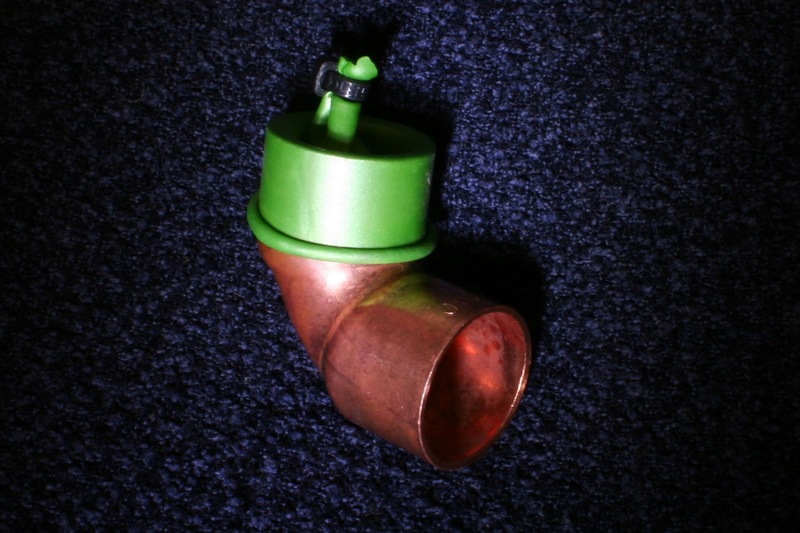 It had a connecting rod glued to the centre, and the other end of that rod connected to the cam shaft. 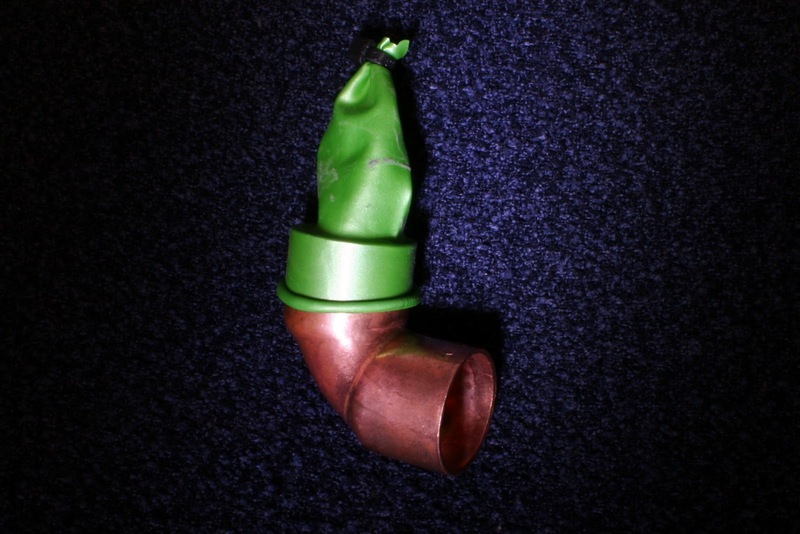 The result was that as the air was heated in the chamber with the displacer, it expanded, filled this balloon, and pushed up the connecting rod. I think it also pulls as the air cools and contracts, but that isn't very obvious either way. In that video (see link in first sentence) you can see the balloon inflating and giving the connecting rod a little push. I'm amazed that the air can expand and contract at such a high frequency. I'm amazed these things work at all. My power piston design was a little rough, and to be honest I was lucky that it worked at all. 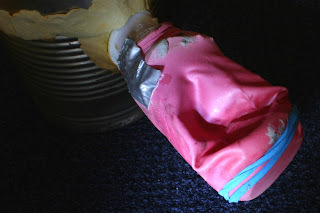 The balloon kept slipping around under it's rubber bands, making the connecting rod feel some resistance as the balloon reached it's limits of free movement. The result was some extra friction where it wasn't necessary. What I need is a bit more room for error. With that in mind, I did some research and found what I think might be a useful design, and also came up with one myself that might work pretty well. I found this one in use already and mine was made from a balloon neck, and a plastic bottle top. 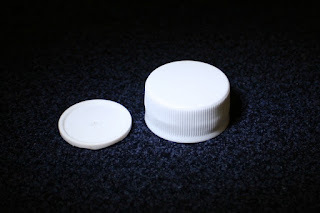 To start with I created a plastic disk around 25mm in diameter by trimming off the sides of a plastic bottle cap. It was pretty easy to do with scissors, and a cut that went in a spiral gradually cutting away the side. 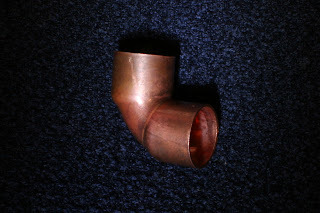 I also have a copper elbow that will be the power piston's basic form. This will take the place of the ungainly plastic bottle with the hole hacked into the side as seen in the top-most picture on this post. I cut the neck off a balloon and inserted the plastic disk. The connecting rod would be glued to the centre of this disk at the top. And like this at it's lowest. It looks quite neat, and this is probably the design I'll use unless it proves to require too much air expansion to fill it. 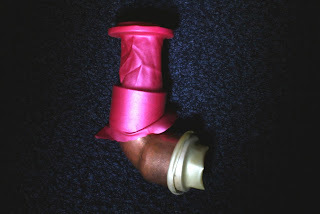 My design includes the same section of balloon neck, and a cable tie to secure the top. I tightened the cable tie with pliers and then cut the rest of the balloon away with scissors. It looks like this at it's lowest. Or near it's lowest. It might be the case that this design will prove useful when used entirely at the low end. It requires much lass change in air volume to move 10mm up or down from it's pictured position. I have no idea if it will be of any benefit to use this (green) design, but It should be easy enough to try both with my adjustable cam shaft. 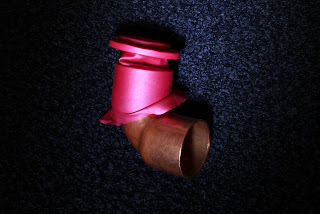 120 Things in 20 years - When it comes to balloon power pistons for Stirling engines, I have standards above which, I will not go.